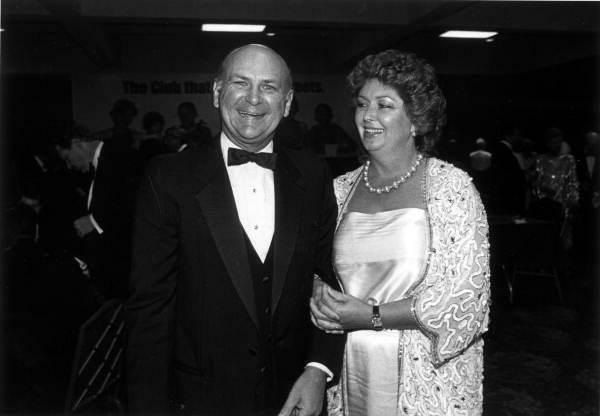 Wayne Huizenga, shown with his wife Marti. As a result, Huizenga, who died at age 80 in Fort Lauderdale, became the only entrepreneur ever to launch three Fortune 500 companies: Waste Management, Blockbuster Entertainment and AutoNation. His daughter Pamela Huizenga Alexander confirmed his death to the Sun Sentinel on Friday. Huizenga had been battling cancer. At the time he said that, Huizenga, the first U.S. entrepreneur to launch three Fortune 500 companies — Waste Management, Blockbuster Entertainment and AutoNation — was paying tribute to his wife for her own philanthropic activities which, in South Florida, proved legion.